These are pictures of Africans who formerly lived in ancient Greece and America. 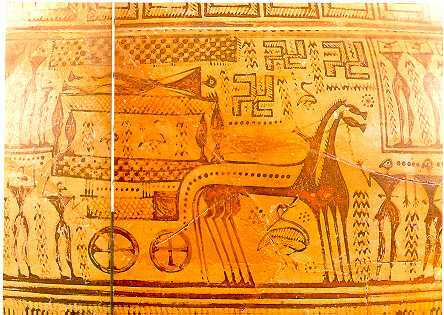 The pictures of vases are from the dark age period of Greece. You will note how these ancient Africans from Europe usually depicted themselves as having triangular shoulders. This is a scene from a Dark period vase. Here we see priest of LaVenta surrounding the dead leading priest of LaVenta called Pe. This is a Dark period vase depicting a burial scene of some of the ancient Black Greeks. 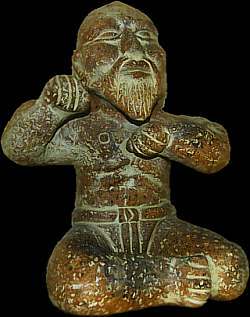 This is an Olmec elite merchant.